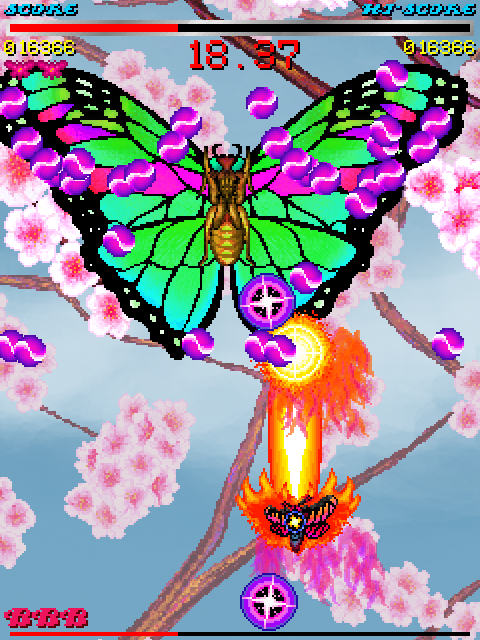 Space Moth DX is the definitive edition of Space Moth, with a brand new DX Mode that will put even veteran bullet dodging skills to the test! Beginners are catered for as well, with a rebalanced Arcade Mode that's just right for anyone looking to get started with bullet hell games. Check out the free demo on the Downloads Page! Buy the full version on Steam! Fact: everything is better with lasers. So we put lasers on over 30 angry giant insects who want to stop you, Space Moth, from escaping Earth and going to the Moon. Show them who's boss and blast your way into space! Eight directions. Three buttons. Keyboard, controller and arcade stick support. The freedom to remap any setup as you please. Jump straight into the game without having to worry about finger gymnastics! Batter the bad guys with a missile barrage until they turn neon, then finish them off with your super laser for a massive bonus! But be careful: neon enemies are much more aggressive! 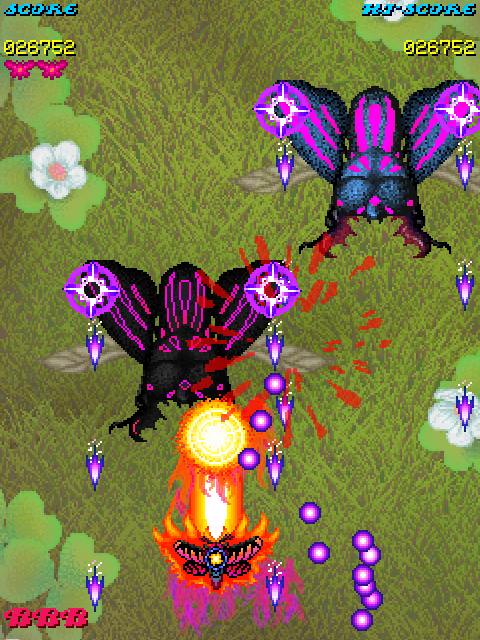 Space Moth will challenge you, fiercely. But Space Moth also wants to help you improve, so you can overcome those challenges. 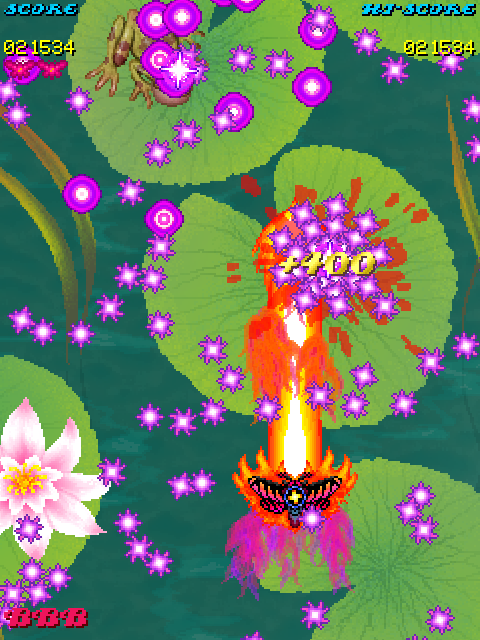 Your current condition (position, bombs and lives remaining) will be saved at the start of each stage and boss fight. Then if you lose all of your lives, you will be given the option to return to the condition recorded in the most recent save. But be warned: your score will be reset! Space Moth mixes up the indie game music scene with a soundtrack that's less NES chiptune or Amiga tracker, and more Tangerine Dream. When was the last time most indie graphics artists sat down and played a game on a real CRT? For 1CC games, the answer is today. So you won't find any mixed-resolution assets or showy shader effects, just proper pixel art!